This George blouse feels a lot like silk, but is 100% polyester. 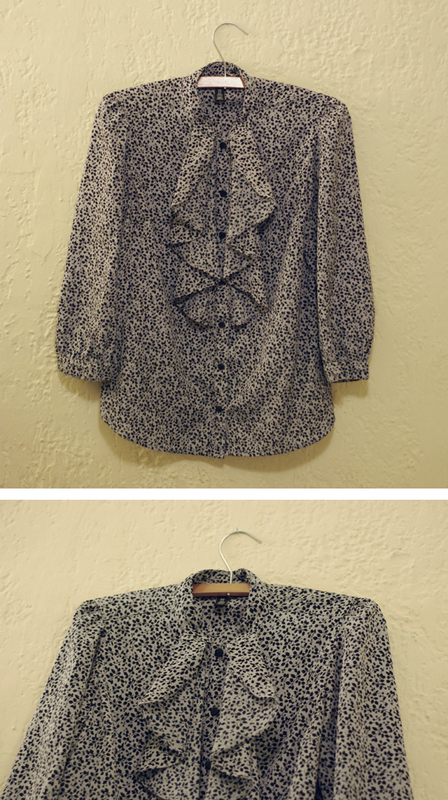 It's lightweight and has adorable navy leaf detailing and cute ruffles along the buttons down the front. It reads size small (4-6). It's in perfect condition. If you want any other details or a photo of this shirt being worn, just let me know!